Every freelance designer wants to hang on to their best clients, and maintain a meaningful business relationship. Working with the same team for a long period of time has some direct benefits — particularly that you and the client know each other and have a good feel for how the partnership will work. But how do you keep those clients? After the initial website is built or the logo is completed, what comes next? The answer is simple – an upsell. You want to provide additional value for clients so that they continue to work with you after the initial project. Here’s how you do it. The concept of the upsell is not new. The technique has been used for decades in all aspects of business to inform clients about additional services, opportunities or elements they might not be aware of that can benefit their business. Don’t offer an additional product or service that is only out to get you money. It might be uncomfortable for many designers at first to “sell” but if you get in the habit of suggestion additional products or services that the client can actually use, the upsell can help boost your freelance design business. Upselling is a good option if are providing something the client needs. Don’t offer an additional product or service that is only out to get you money. (Please don’t charge extra to hand over the vector version of an icon design.) A good upsell is to add search optimization tools or ongoing search tweaking to a website project. And only upsell products or services that you feel comfortable with. If the client wants to run an online ad campaign that you built creative for, pitch placing the ads if that is in your area of expertise. If you have never run an online ad campaign, finish the creative and move on. So, what exactly can you upsell? Think of an upsell as anything outside the original scope of a project that can actually benefit the end result, making it better. Ongoing maintenance or support: What happens after that web project launches? Create an affordable structure for basic questions and maintenance that comes elements such as WordPress and plugin updates with a monthly fee. Logo design: How many clients come to you with a project and no logo? (Or only a low res version?) Offer them a logo design package with the project, for a little less than a single logo might cost. Ad design: The same concepts that apply to website design apply to working across other digital formats. Marketing and search optimization services: There are two ways to do this, SEO included with a website design and ongoing support and adjustments (preferred as a long term-solution). Provide long-term clients with a report of changes, search keywords and success as part to show what is working. Print collateral: Offer to build print elements – business cards, stationary, signage etc. that matches other design elements. Email newsletter: Design a custom template to match other digital and print collateral. Offer website hosting: Most clients just don’t want to fool with this on their own and you can get bulk discounts from many vendors for multiple accounts. Training: Teach the client how to use the product, whether it is a website or app or design package that they will ultimately update later. Offer suggestions for long-term clients: If a client has an old design that is starting to look that way, it’s time to talk about a design refresh plan to help them stay on top of their business. Copywriting: If you have a knack for writing (or can subcontract), many design projects need better copy. The best way to make the pitch to clients is through a soft sell. Don’t be pushy. Talk about other ways that you can help their project be better. Offer a discount or analysis to frame the decision-making process. Get them interested in the idea and then make the pitch to take on the additional work. It all starts with a good client relationship and understating what the client needs. You would not suggest a logo to a client who just finished a rebranding project with another designer. And you must be able to handle “no” with grace. Not all clients will want or need an upsell. That’s ok. Accept it and don’t keep pushing. You are most likely to actually sell an upsell with the right approach and a solid foundation with a client. There is a delicate balance between generating new revenue from a client that might have a limited budget and turning them off. You have to approach upsells with ease. Understand exactly what the client does and needs and articulate it in conversations with them. Sell the benefit of the upsell product or service. What is in it for the client? Will it help them be better, more efficient or make more money? Sell yourself and make it clear that you can provide the upsell element. Sometimes clients won’t know you can do more than build a logo and will be surprised to see that you can create an app as well. 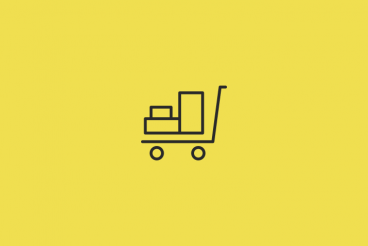 Are you ready to ramp up your freelance design business with upsells? Even though it might seem intimidating, it is something almost anyone can learn to do effectively with practice. Start with a good client and remember the most important element is to sell the benefit to them. Why will this help their business? Whether you are a designer, writer, developer or wear multiple hats, we will share freelancer tips, resources and ideas to help you make the most of your small business. Is there something in particular you want to know? Let us know at @designshack.